While many people think a root canal diagnosis is bad news, a root canal doesn’t have to induce anxiety. Root canal therapy can save your tooth from extraction and the good news is that the vast majority of people who visit Dr. Ford Gatgens at the Accent Smile Center team in Dickson, TN have little to no discomfort during their root canal therapy. This dental procedure is generally done in one simple appointment, possibly two depending on the severity of the infection and our Dickson dental team is well-versed in root canals. We strive to make your visit comfortable and stress-free while we work to save your tooth. Why Might You Need a Root Canal? A root canal can become a necessity when there is a very deep cavity, cracked tooth, or severe tooth injury. The root canal essentially removes the tooth nerves and blood supply and involves sterilizing the area to ward off continued infections and tooth aches. After the canal is sterilized, cleaned and shaped, it is filled with a material to seal the root. A tooth colored buildup restoration is placed to give the remaining tooth structure core strength and sometimes a post is also inserted in order to provide additional support. Finally, an attractive porcelain crown is customized and fitted over your tooth in order to strengthen that tooth for long-term support and function. Your smile will be seamless and your tooth will be saved! Is a crown really necessary after a root canal? Going through the effort to save the tooth and then neglecting to cover it with a crown is counter-productive. People who opt out of a porcelain crown after a root canal tend to require reconstruction within a short amount of time due to the biting forces on their teeth weakening the filling and resulting in a chipped or cracked tooth. Also, bacteria will reinfect the tooth and cause decay again if the tooth is not sealed with a final crown restoration. 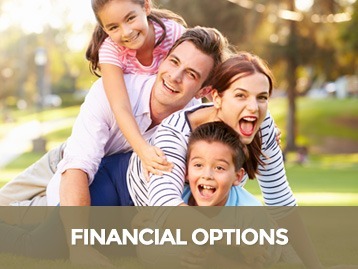 If you’re concerned about the affordability of a dental crown, we can help with dental financing options. At the Dickson, TN dental office of Dr. Gatgens, the team strives to make every patient comfortable during every appointment. Whether you need a root canal, wisdom tooth extraction, have a toothache and need emergency dental care, oral surgery, or are interested in learning about cosmetic dentistry options to improve your smile, we leverage the latest in modern technology coupled with best practices to bring about gorgeous results for your smile. We also offer oral conscious sedation and NuCalm (drug-free relaxation) options for those who want extra help relaxing during their root canal. Book an appointment for a check-up or consultation by contacting us at our Dickson dental office at (615) 492-3881.